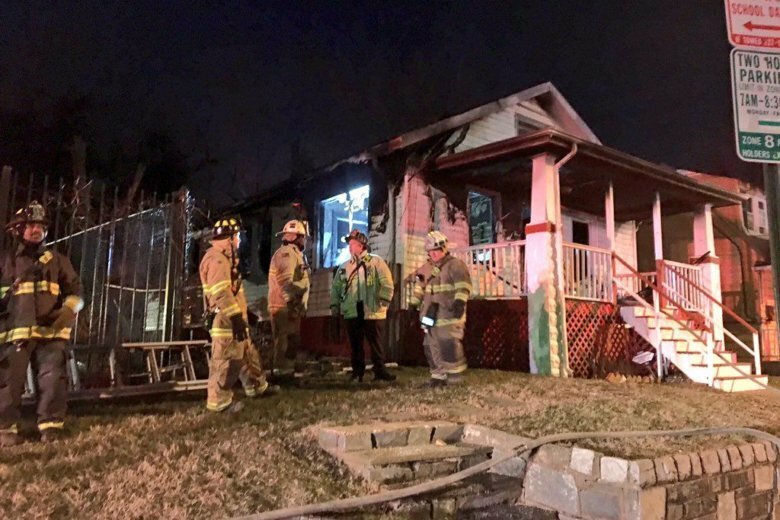 Three Southeast D.C. residents were hospitalized on Monday morning after a fire forced them out of their home into freezing temperatures. WASHINGTON — Three Southeast D.C. residents were hospitalized on Monday morning after a fire forced them out of their home into freezing temperatures. D.C. fire officials were blaming an overloaded circuit for a fire in the 3400 block of Brothers Place, SE. One person became trapped and were rescued by first responders. All three people displaced were transported to a hospital with injuries that were not considered life-threatening. Firefighters had to use road flares to thaw out a frozen hose joint amid overnight wind chill values well below zero in most of the D.C. area. Investigators later traced the overloaded circuit to a heater being used with an extension cord and electrical pigtail. On Twitter, DC Fire and EMS reminded their followers that portable heaters should be plugged directly into wall outlets to ensure safe operation. Ana Srikanth contributed to this story.